The new tech coming out of the 2016 Consumer Electronics Show in Las Vegas has dominated the tech news for this week. 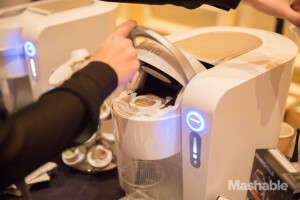 As such, I’m going to highlight some of the fun stuff I noticed coming across the feeds and point you to where you can catch up with all the CES news. 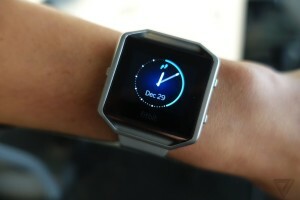 At CES this week FitBit showed off their first official smartwatch. You can preorder one for $199, but warning – it sure doesn’t seem very small. Engadget gave it a go and didn’t come away in love. Image: The Verge. The virtual reality headset manufacturers announced this week that backers of their original 2012 Kickstarter campaign will all be getting a Rift for free (well, if they got a developer kit, that is). Gizmodo and The Verge have some details if you want to kick yourself for not backing that original Kickstarter. The Swagtron (from Swagway) and Hovertrax (from Razor) are both answers to safety concerns about the latest gadget trend and come with extra features too. The Swagtron has a carrying handle and Bluetooth speakers. The Hovertrax has blue LED lights and fancy “smoke chrome finish”–and neither will, apparently, burn down your house Both will retail for around $599. And hey, if you or your spouse wants a sparkly smartwatch, check out the new ones from Huawei…if you’re feeling flush. Prices start at $499. Note: I just got Pebble Round and will be sharing my review soon! 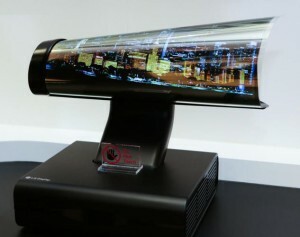 It’s just 0.18mm thick and can be rolled up, as CNET says, like a poster. It’s still small, but heck, it’s HD and makes you think a digital newspaper could be a real thing sometime in the near future. Both CNET and BBC have videos of this wonder product. The maker of the very-popular miniature BB-8 remote control toy from the latest Star Wars movie just made controlling it a bit more fun—all you have to do is use The Force (band). With the wristband you can control BB-8 using gestures, rather than your phone. The Misfit Ray is the first activity tracker introduced by the company since being bought by Fossil last year…and it looks pretty cool. 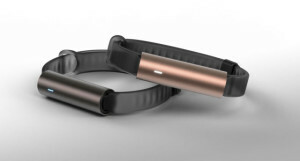 It certainly looks more like jewelry than a tracker, and can be worn as a bracelet or a necklace. You can preorder for $99 and ars technica for some details about what it can do. CES runs through tomorrow, so to follow along or get an overview of the most notable releases, I recommend heading The Verge. I’ve been appreciating their separate section covering the event, making it easy to get the highlights without doing too much wading. To catch up, they’ve pulled the top stories for each: Day 1, Day 2, Day 3…and they’ll have updates tomorrow as well. Like, how about possibly 10,000 characters? The Internet briefly had a total freak out over this rumor. The password “vault” service LastPass added some pretty major new features this week, including the ability to give emergency access and a new password sharing center. Both make the service even more handy (yes, we use this at my house).